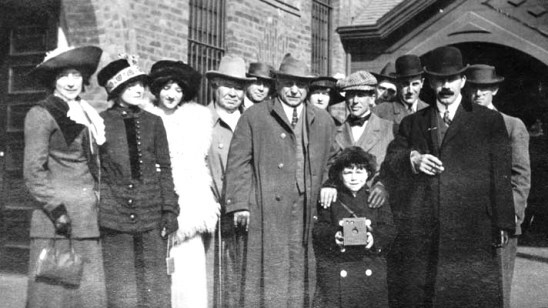 The above photo is reportedly a photo of David Horsley and his troup taken at the train station upon his arrival in Los Angeles, one-hundred years ago today on October 27, 1911. Horsely is on the far right with mustache and bowler. The boy with the camera is his son. Al Christie is over Horsley’s right shoulder. 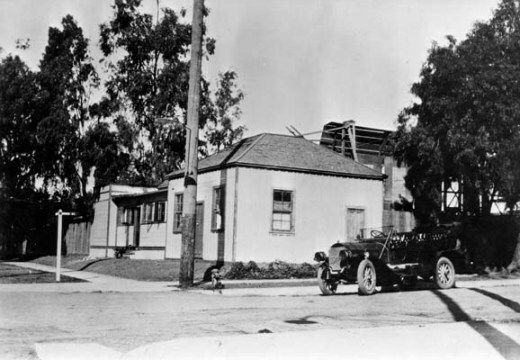 Today marks the 100th anniversary of the founding of the first movie studio located in Hollywood. There were other companies in Los Angeles by this time–D.W. Griffith was working at the corner of Georgia and Pico. Fred Balshofer was in Edendale and Col. William Selig in Glendale but no one had yet set up shop in Hollywood, which would become the film capitol of the world. Brothers David and William Horsley formed the Centaur Film Company on the east coast. By 1910 their operation was producing three movies a week, including the Mutt and Jeff comedies. Along with other movie independents, they succeeded in defeating the monopolistic hold on the industry of Thomas Edison’s Motion Picture Patents Company. However, weather conditions became so bad during the summer and early fall of 1911 that it was impossible to make motion pictures in the vicinity of New York City. The camera depended entirely on sunshine and there just wasn’t any sunshine to speak of. Frustrated, David Horsley took his three companies and loaded them on the train and moved his operations to California. Horsley arrived in Hollywood with Al Christie, director and cameraman, and actor Thomas Ricketts and others. Hollywood was a sleepy little town of dusty roads and yellow orchards, pepper trees, and a profusion of flowers. Hollywood Boulevard seemed all orange trees, Sunset all lemon trees. Reportedly some footage was shot in the orchards of one of Hollywood’s early founders, H.J. Whitley. The following day, October 27, 1911, Frank Hoover, a local photographer with a studio at the southeast corner of Hollywood and Gower, introduced Horsley to Marie Blondeau, a widow who owned a closed-up roadhouse down the street on Sunset and Gower. The tavern was a low, rambling building with a big veranda and many private dining rooms. After lunch they went poking around in the backyard of the roadhouse. The tropical foliage and orange groves so entranced them that they rented it that day from Mrs. Blondeau for $40 a month—backyard and all. 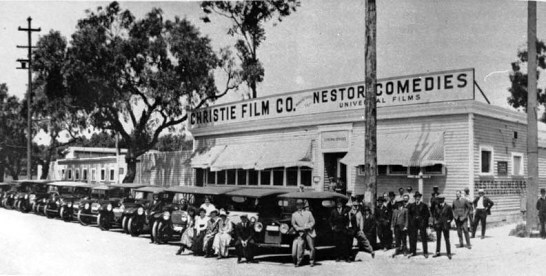 As a result the Nestor Company opened the first motion picture studio in Hollywood on the site of a deserted tavern. The next day they started shooting The Law of the Range, starring Harold Lockwood. At the new studio, Horsley had three units working simultaneously—one was under the direction of Milton H. Fahrney, who made one single reel Western picture every week; another was directed by Thomas Ricketts who made one single reel dramatic picture every week; and the third was under the direction of Al Christie, who made one single reel Mutt and Jeff comedy picture every week. In those days there were no rushes. The negatives were developed after dark on the old screen porch of the tavern, and sent to Bayonne, New Jersey, to the laboratory for printing. The cast and crew did not see Law of the Range until three months later and they noticed, to their disappointment, that the oranges photographed black. The old tavern had to be remodeled in order to meet their needs. There was a big bar which was made into a carpenter shop. The house was turned into offices, the barn into a property room. A stage was built in the yard—with muslin over it to diffuse the light. Margarita Fischer and Harry Pollard were given the little dining rooms for dressing rooms. A lot of others who weren’t so fortunate dressed in the old barn, where the horses had formerly been kept. Russell Bassett, the eminent actor, once said, ‘That I should come to see the day when I should dress with the horses!’ And he was serious. Location trips meant work for everyone. Every actor had to know how to hammer and saw. In addition to doubling, loading props on and off the wagons, painting the legs of the horses when they wanted to double them, the actors built all the sets. In the winter they would stop camera shooting at three-thirty. Could the actors go home? No! The director would say, “All right, boys, now we’ll put up the house for tomorrow.” Even the women helped in their spare time. Al Christie’s mother made all the curtains for the sets. “‘Going to stay right there?’ Christie asked him. “‘That’s fine, were going to move across the road and you will be out of vision,’ Christie said. He was pretty mad. 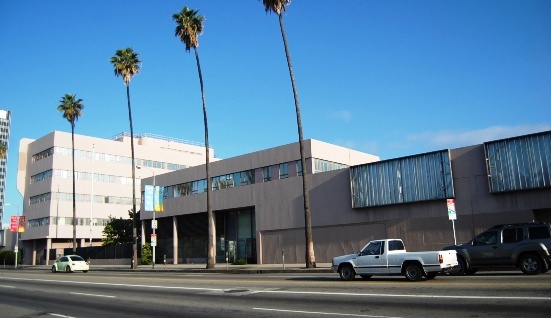 Above is the site of the former Blondeau Tavern, Nestor Studios and Christie Studios on the northwest corner of Sunset and Gower. In the late 1930s it then became the home of CBS. The building is now abandoned. The studio was operated by David Horsley until May 20, 1912, when Universal Film Company was formed and took over every one of the independent companies then operating and each one took stock for his studio, laboratories and other picture interests. Horsley received $175,000 in preferred stock and $204,000 in common stock in the Universal Company. He also was elected to the office of treasurer of Universal at $200 per week salary, a lot of money in those days. Throughout the next few months I will continue the story and post about the people and places of those early days of filmmaking in Hollywood.